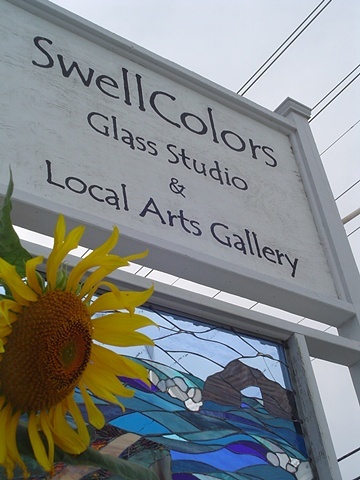 SwellColors Glass Studio, owned and operated by Mary Tantillo is open to the public daily in summer. On any given day you will see quite a few works in progress and many works for display. The gallery component of the studio also features many local and regional fine art and artisan crafted items for sale. SwellColors also offers classes every day for all ages for when you want to get creative.